Posted on November 23, 2015 by Alaina K.
Over the summer, I became engulfed in an intriguing book series, the Bliss trilogy. In the first book, Bliss, problems arise when the Bliss parents go on a baking retreat for one week. Their children, Thyme, Sage, Leigh, and Rosemary, the main character, are left with an unfriendly babysitter to take care of them and their magical bakery. The kids know they must protect the secret of the magical bakery while their parents are away. However, when the mysterious Aunt Lily arrives unexpectedly, things quickly get out of hand. Humorous turns of events create chaos when several enchanted recipes completely turn around the people of their hometown, Calamity Falls. Unsure of whom to trust, will Rosemary Bliss and her two brothers be able to save their home before it all comes crashing down? In the smashing sequel to the first book, A Dash of Magic, nefarious Aunt Lily has stolen the Bliss family magical cookbook. 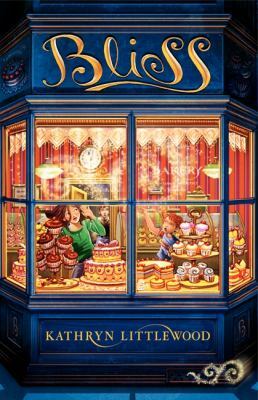 Rosemary Bliss must defeat her mighty Aunt Lily in a baking contest, France’s Gala des Gateaux Grands, in order to save her family’s all-powerful cookbook. Along with an alliance of a talking cat and mouse, her great-great-great grandfather Balthazar, and her brother Ty, Rose encounters many close calls and wacky magical ingredients. A Dash of Magic is a thrilling book, which many Bliss fans will love. Finally, the grand finale to the inspiring Bliss trilogy is called Bite Sized Magic. All Rose had ever wanted was to be famous, but after winning the Gala des Gateaux Grands, she realizes it is a lot more work than she imagined. She is soon kidnapped by the Mostess snack company, which uses kitchen magic for evil rather than good. They threaten her into perfecting their best selling (and most evil) recipes in a mere five days. To save her family and herself, and to defeat this wicked baking company, Rose must face one of her most fearsome challenges yet. This trilogy is hilarious, wacky, magical, and fascinating, all rolled up into one series! I would recommend these books for all ages, although they might be overwhelmingly long for younger kids. Since I love baking and reading, I was thrilled when I received the first book as a gift from one of my friends, and I immediately bought the next two. I fell in love with the hilarious wit and charm included in each and every novel, and the incredible imagery made me feel like I was traveling alongside Rose, all the way from Calamity Falls to the majestic city of Paris. Her handsome brother Ty, sweet sister Leigh, comedic brother Sage, encouraging parents, and her crazy pets and grandfather all make the story that much more enticing. Readers will fall in love with all of the characters, the plot, and a sensational touch of magic while reading the outstanding Bliss trilogy! The Bliss Trilogy is available for check out from the Mission Viejo Public Library. This entry was posted in Book Reviews and tagged baking, cooking, fantasy, humor, magic by Alaina K.. Bookmark the permalink. I love how you not only summarized the book series, but you gave a good synopsis about each book. Awesome job, and I can’t wait to read the trilogy. I agree. Well done! I loved your sypnosis.